Using 99designs has been an interesting experience and I think I’ll use them again. I loved the way it worked, and there are some fabulous artists on there. There are also some that aren’t as great, but that’s okay, they are still learning. I was told some people had issues with copyright, but I found that if you did your due diligence that wasn’t an issue. The two covers I chose had all their textures and photos linked back to the original, and I could easily see what the copyright requirements were. Some asked for credit, which is easy to add in the copyright area, and I’m happy to give. Most were copyright free textures. The toughest issue I had, personally, was dealing with the artists of the designs I rejected. They would ask why I rejected them, what they did wrong, how they could improve. In many cases the answer was “you can’t” either because the art wasn’t professional enough, or the right tone for the subject matter, or just because someone else was far better than they were. I didn’t want to say that. So I tried pointing out a couple things I didn’t like, and said I’ve already made my choice, I’m just waiting for time to run out. I think I could have declared a winner earlier, but I’m glad I didn’t. Not only did the original artist I loved come up with an even better cover, but I had another artist show up that had an awesome cover too, and with a little tweaking it made a fantastic cover for the second book. So, a couple tips to make your experience better. 1. Click on the art piece, don’t just go off the main page. This is where you will find notes from the artist, and copyright info. 2. Don’t accept art that doesn’t reference the original materiel. You need to know the terms of copyright. If they don’t add it ask them for it. 3. Even if you aren’t sure about a specific design ask for minor changes. Sometimes a rough or okay piece will become a diamond. 4. Wait. Don’t choose something too early, you might miss a fantastic opportunity. 5. Give your title something unique. My title was “Lovecraftian high fantasy” and a lot of artist were fascinated by that. Who doesn’t want to do a Lovecraft art piece? 6. Keep in contact with the artist. You may find you want to hire them later. 7. If you see a second piece that would work for another project don’t be shy about asking to buy that directly from the artist. 99designs had a 1-on-1 project section that allows you to buy specific pieces from a specific artist, or commission new ones. 8. Ask about using the art in promo material. Both my artists are fine with it, and the art references they used are okay for it. Others may not be. Ask! 9. Ask about adjustments after the fact. I don’t know how big my book is going to be yet because I haven’t gotten the page count nailed down, but my artist offered to adjust the spine for me, free of charge, if I ever need it. 10. Make sure you get the PSD file and/or a high quality picture without a blurb on it. You are probably going to want to adjust the blurb some day. 11. Ask for a cover for the print book that can be cut down to ebook size later. Maybe you don’t want a print book yet, but some day you might and your going to want a good one, not just a plain cover tacked onto the ebook cover. 12. Triple check everything, then have someone else check it too. I miss spelled “Witch’s” as “Witches” when I first asked him to change the title. I asked him to change it and he added the apostrophe but didn’t take out the “e”. For some reason my eye just went right over that “e” without seeing it, several times. Thankfully others caught it before it was too late. I asked my artists if I could put their website in my credits as well. They deserve a little publicity. The first artist didn’t even have a website. He’s never asked people to attribute him before. But I’m going to, because it just seems like the right thing to do. I hope if you use 99designs you’ll do the same. 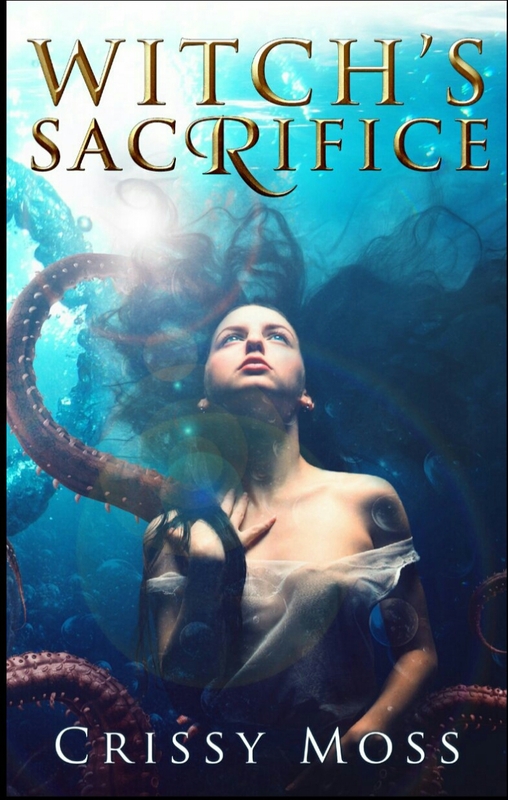 And to find out when Witch’s Sacrifice is out please sign up for my newsletter.